The holidays are just around the corner and endless amounts of decorations are filling store shelves. Every year, finding the perfect festive touches to your holiday decorating can become overwhelming when spending half the day looking for items to match your style. 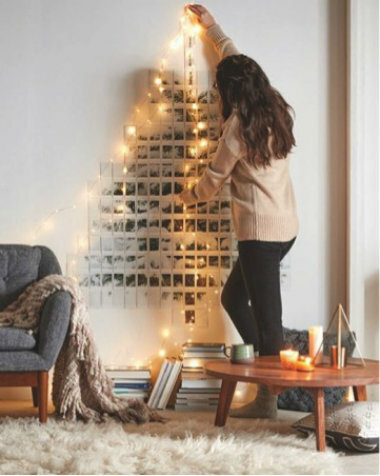 Take the fun and creative route this year by DIY holiday decorating with your instax. This is a great way to deck your halls and gifts with personalised seasonal decor, while surrounding yourself with the people you love most. 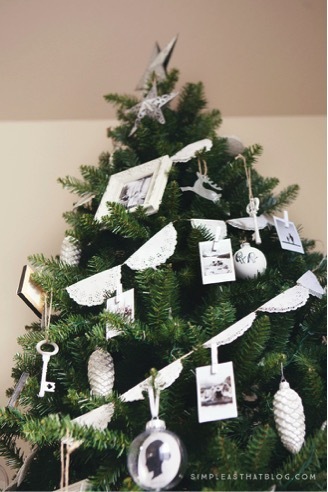 Here are five creative tips on DIY holiday decorating with your instax. Use your instax SP-2 printer to dispense photos straight from your smartphone. You can use the available filters such as black-and-white, sepia or individually adjust the brightness, contrast and saturation settings to match your ornaments and other holiday decorations. 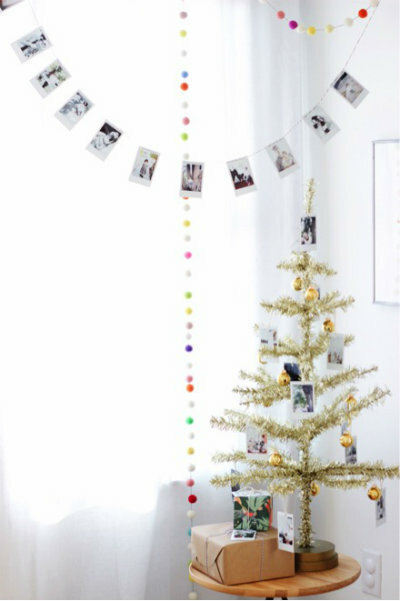 If you’re looking to add more colour to your holiday decorating using your instax, consider making a display with your most fun and vibrant instax photos. Take twine and tape both sides to different walls, then clip instax photos across the twine to make a banner. Use other colourful decor, such as streamers or Christmas lights, to complement your banner. 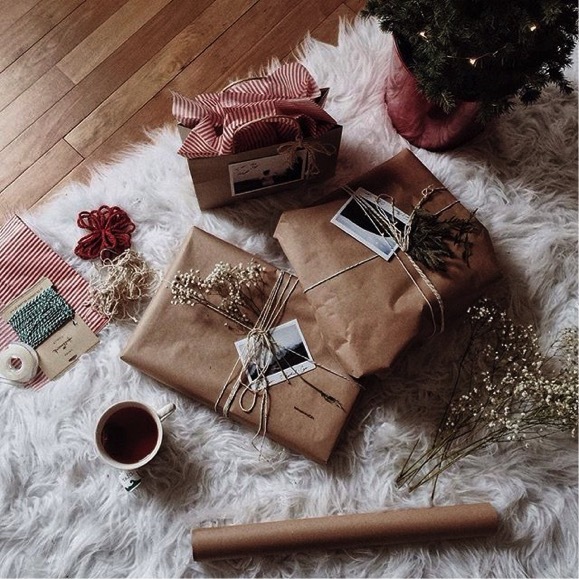 Wrap your gift in plain brown or white wrapping paper and secure instax photos of friends, family or memorable experiences using twine. Tuck in filler flowers for the ultimate elegant touch. Take a circular structure such as an embroidered ring or masking tape roll. 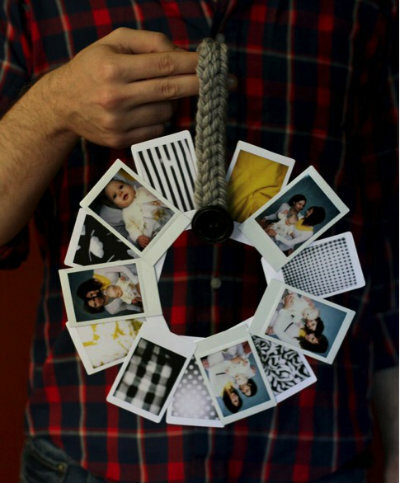 Layer your favourite instax photos in the order you would like them around the ring. Tape or glue each photo to the back of the ring structure leaving a small space to attach embroidery thread, rope or a thick string as a hanging piece. Lastly, secure the hanging piece on your ring structure with glue and hang it on your door, walls or Christmas tree. Give your gifts a little personalised style by adding an adorable photo of your kids, animals or a selfie. 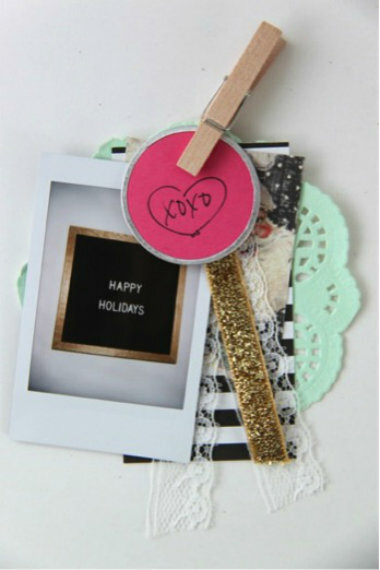 Layer scrapbook paper, trims, ribbon and circle tags with your instax photo placed in the front. Use a mini clothes pin or a metal clip to secure your materials together and attach it to your gift. Have fun filling your home and gifts with personalised instax cheer this holiday season. Happy DIY-ing!